Here are reviews from couples. Scroll down to see raves from parents. Susan was able to stitch together a non-traditional ceremony with a lot of celtic and Quaker traditions! It was a fusion of all things we were interested in incorporating (hand fasting, calls and response, meditation) and I was worried it was going to seem confused and chaotic, but Susan took the reins and melded our ideas into something that was cohesive, cogent and beautiful. We worked together through several drafts and she was always on top of it. She made phonetic notes for names, ensuring the proper pronunciation, and really helped guide us through what a ceremony means, when the appropriate time for rings exchange would be in a complicated ceremony such as ours, etc. For those of you who are Virgos like me here are some additional notes: Her voice is pleasant and gentle. Her appearance is understated fancy- she is not competing in photos and wears subdued clothing but is also very clearly there as the guide to the ceremony, she is very responsive to email and text should you need to freak out a little. And she didn’t crack any unapproved jokes or anything like that- she was prepared and knew the kind of sophisticated but unique tone we were going for. I felt like I could trust her to guide us and our guests and it worked out wonderfully. From the first meeting we had with Susan, we knew she would do a wonderful job with our ceremony. She asked many questions to allow her to really understand our love and our story and it truly showed. My husband and I are different religions and we wanted to include some traditions from both, but we wanted the theme of our ceremony to be love, and she did just that. She worked closely with us to make sure every detail was perfect and was extremely flexible when I had some last minute changes to be made. Whenever I had a question or suggestion, she was always quick to respond and always professional. This process can be extremely stressful at times, yet I felt certain the ceremony would be wonderful. We have lost loved ones in our family that should have been with us on our wedding day, and Susan did an absolutely lovely job honoring their memory, just as we had asked. Throughout my reception, at least 15 guests told us it was the best ceremony they had ever been to! I cannot say enough wonderful things about my experience with Susan! She truly made our day perfect. Susan was absolutely amazing! She really captured the love of our relationship within the ceremony. She graciously took the time to get to know my husband and I before writing the most beautiful ceremony for our wedding day. We highly recommend Susan! Susan was FANTASTIC. 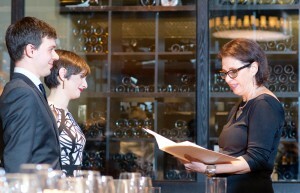 Susan is an incredibly open-minded, thoughtful, receptive and creative officiant. 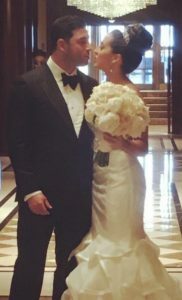 She helped my husband and I create a unique experience and special ceremony that was simply perfect for us. 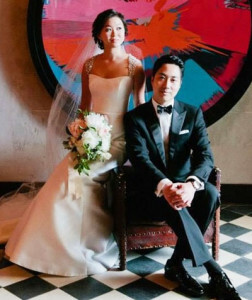 But before this beautiful experience, Susan worked hard to get to know us, both as individuals and as a couple. This wasn’t just a “job” for her, this was a special, creative experience that clearly would be meaningful to ALL of us. Her heart was truly in the right place. She really wanted to understand us and what was important to us so that she could make something important and beautiful for us! She wanted to create an experience that was perfectly tailored to us, to our desires and to our needs. She listened carefully, contributed valuably and worked diligently to create a most memorable experience and wedding day for us. Susan was incredibly effective in leading and helping us to create a lovely balance between our spiritual desires and religious needs; and as a result, she came up with the best combination and plan of all of our ideas for the wedding. She welcomed us into her home and also, more importantly, into her heart. I can’t recommend her enough. She gave us the experience of a lifetime and will do the same for you! My husband and I contacted Susan in a bit of a panic, with only a week before our wedding. She was extremely responsive, lovely to work with, and really took the time to get to know us, our relationship, and our desires for the ceremony. 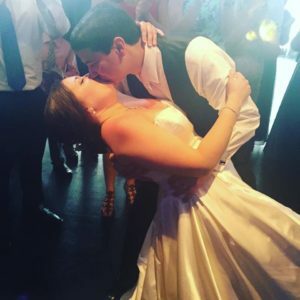 She gave us guidance in crafting our vows to one another, and created a beautiful ceremony that touched on all the elements that we asked for – it was simple, meaningful, and very much captured the significance of this step in our lives. It felt like she understood us and our relationship, despite having only talking with us for an hour or two beforehand. We are so happy that we found Susan! 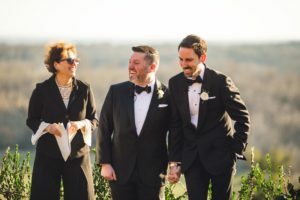 We are so thrilled to have you as our officiant, which is even more evident after reading the script! There will definitely need to be tissues on hand as it was hard enough reading through it without getting teary eyed… I can’t imagine how we will be the day of! It’s truly beautiful – thank you! 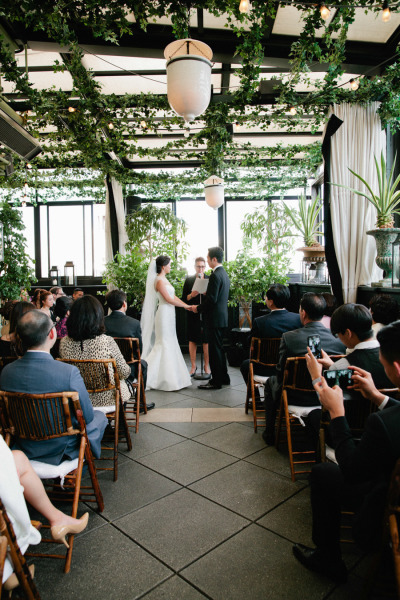 Susan was our officiant for our wedding at the Gramercy Park Hotel. We met with her a few months before the wedding to talk about how we met and to learn more about our relationship. She used this information and beautifully incorporated it into our wedding ceremony. She was extremely attentive and responsive. She was very respectful of all of our ideas and open to any suggestions which was great. We felt she understood the tone and style of the ceremony we hoped to have and on the wedding day everything went smoothly. We are grateful for her efforts and would highly recommend her to couples looking to get married. Thank you Susan! Susan was the icing on the cake for our wedding day! She stepped in for us in a pinch and we couldn’t have been happier with how she got to the root of our relationship and understood our love. Incredible! Do not look any further than Susan! She will not disappoint! I think our wedding touched many people’s hearts and was truly everything we wanted it to be. We are so happy with everything that you did to help us beforehand and how you brought it all together. 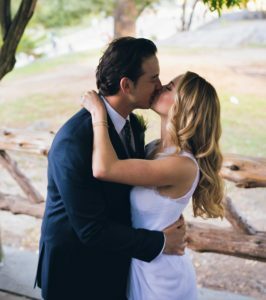 You made our ideal idea of a ceremony into a reality and it was perfect. Thank you. Words cannot express how grateful we are that you were there to marry us on Saturday. All night, everyone kept remarking how wonderful, unique, and heartfelt the ceremony was. We both hope our paths cross as well. You are an amazing person- thank you for all your help. Where do I begin to say thank you for all you did to help make our wedding day so special. It was so nice to see you get just as excited as we were with all the possibilities that the ceremony could be. You helped us combine rituals and rites from many areas to create a unique celebration reflective of our commitment to each other. You were a compassionate, nurturing guide not only for us, but also to our family and friends. Susan was a pleasure to work with! She was extremely helpful in making the processional and ceremony run smoothly on wedding day. She arrived early and was interactive and friendly with our family and bridal party. We did not have a wedding planner and I felt like she automatically filled that role for anything ceremony related. She definitely knows what she is doing. She also helped create a very personal ceremony for us. We did make a lot of edits to the first draft of ceremony so that it had a more casual vibe that we were going for, but she was very responsive to our feedback. We had so many compliments on how thoughtful and personal the ceremony was. I am very happy we chose Susan and would recommend her! From the brides mom. Hi Susan! This is Darlene, Dianne Decker (LYONS) Mom. What an awesome ceremony you gave us. I was so proud of Dianne’s words toward us and just the overall calm and coolness for the entire ceremony. The way that you began that evening was just amazing, with a beautiful ceremony that I will cherish forever. I asked Dianne for a copy of it to put in my memory book. I am truly just so Thankful for they way You “ran that show” Just wonderful. I loved it and just couldn’t be more proud of both Dianne and Rob. I consider myself very lucky to have her and now him in her life. You can see how truly happy they are together. As a parent, I couldn’t be more at peace to know they have true love and safety within each other. Thank you again…you were so awesome! You did a wonderful job preparing that ceremony to include their thoughts and comments and love. It was so beautiful. I will never forget it. 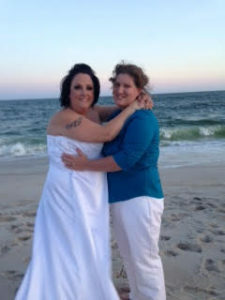 The groom’s mom said… The person selected to do this very important and sacred ceremony was important to me. My son and I had had a few conversations about this. But I wanted to tell you that I thought you did a wonderful job! IN the “official” aspect of it – you were great – but you did more that just ‘official”. You ( with ease) projected a sense ( a feeling ) that you knew these two. You captured a “personal” to it all and this meant a great dal to me. Thank you for being able to bridge the unfamiliar so easily. You re friendly, easy going and a pleasure to know. Thank you for marrying out two beloved children. I will treasure the feeling you made me fell all the days of my life. God bless you. A Nervous Jewish Mother said...I could not imagine how a ceremony could be crafted to marry our interfaith children. Now I know. I was so amazed how you skillfully and respectfully brought our two faiths together into a seamless, meaningful and touching ceremony that both families loved. I cannot thank you enough.